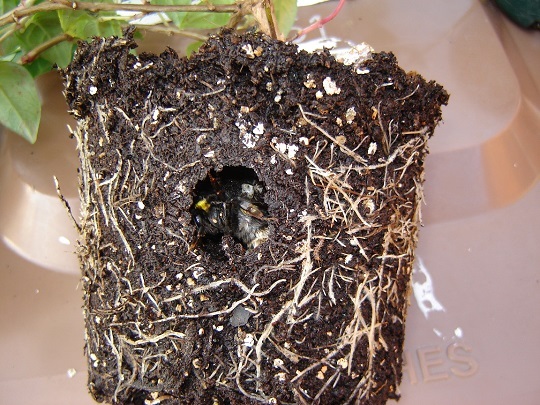 People often find hibernating bumblebees in late winter or early spring, when they begin to work in their gardens again. The most common places to find them are in compost bins and loose soil in flower pots and banks of earth. Hibernating bumblebees are all potential queen bees, which will hopefully go on to make nests in spring. Uncovering them can disturb them, and you might find them buzzing or shaking. If the bee isn’t too active, you can cover it up again using the material that had been hiding it. Try to pack this as loosely as possible, so she can dig her way out when it is time to do so. If the bee remains very active and won’t go back into hibernation, you can help her on her way by feeding her a solution of water and white sugar. Click here to read more on how to do that. 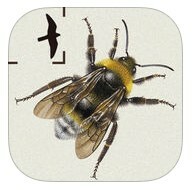 Don’t be tempted to keep the bee indoors, as bumblebees need to be outside to complete their lifecycles.